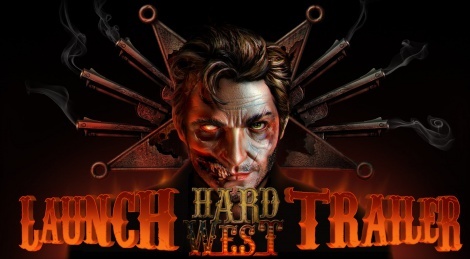 Tactical turn-based shooter Hard West is now available (here ou there) so be ready to face various enemies and supernatural through 40 missions. The game features a soundtrack composed by Marcin Przybyłowicz that you can listen here. November 18, 2015 – Consumed by tragedy and left for dead, one man will walk a dangerous path to punish those who wronged him. Vengeance is all that remains, and only one thing is certain; dying is the easy part. A tactical, turn-based western of six-shooters and the supernatural, Hard West is now available on PC (Win/Mac/Linux), including the Collector's Edition with a digital art book, comic book, and original soundtrack by Marcin Przybyłowicz (The Witcher 3: Wild Hunt). Follow Warren on his descent into the darkest recesses of the human soul, and try to survive in a world full of hard choices and even harder consequences. In this world, death is a constant presence and the black pacts you make will forever haunt all those around you. Fight your way through 40 missions of henchmen, cultists, and cannibals in your quest for vengeance. Uncover the plans of the ancient powers at play and make difficult choices that resonate throughout your journey. Collect and combine poker cards to craft special abilities, and arm yourself with an eclectic collection of firearms including outlandish prototypes of the era. Hard West is the second game from Warsaw-based studio, CreativeForge Games, and features the talented writing of Haris Orkin (Company of Heroes 2, Dying Light and Call of Juarez series), and an original score composed by Marcin Przybyłowicz (The Witcher 3: Wild Hunt). You can listen to the original soundtrack immediately on Spotify, or purchase it digitally through Google Play, iTunes, and Amazon. 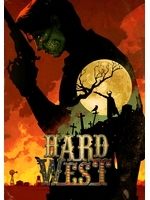 For more information about Hard West please visit http://gambitious.com/games/hard-west or https://www.facebook.com/creativeforgegames and follow us on Twitter, @GambitiousInc and @CFGmain.